Aquila represents the next generation of power catamarans. Go anywhere. Do anything. Luxury that goes the distance. Their models are designed to provide the maximum comfort, space and efficiency, every detail is handcrafted to perfection. Of our available Aquila boats for sale, the versatile Aquila catamaran models, including the 44, 48 and all-new 36, set the new standard in quality and innovation. 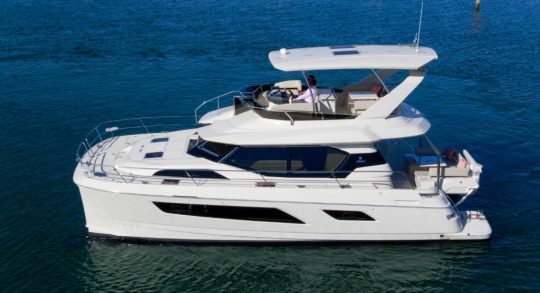 Both inside and out, Aquila Catamarans are designed to provide the perfect cruising vessel. We offer a selection of Aquila boats for sale, including semi-customizable catamarans and new Aquila vessels that are made with design and performance in mind. When you have an Aquila vessel, all of your cruises on the water will be luxury cruises.